Internal Audit Department is another key department of the organization holding the responsibilities of internal control, auditing, checking out procedural compliances and standard accounting practices and it is headed by a Joint Director. External Audit is conducted by the government recognized audit farm. 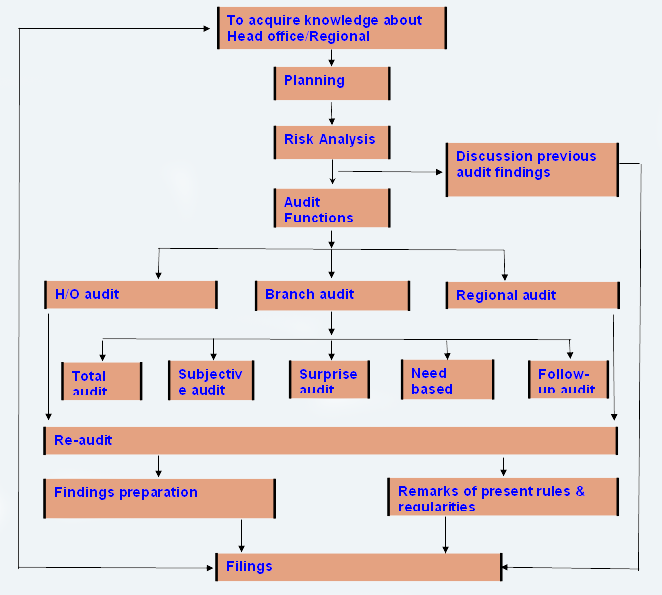 Generally the head of the organization are audited by the external audit farm. Sometimes the external audit is situated by government audit. -Final audit is also conducted in the case of completion of specific project.